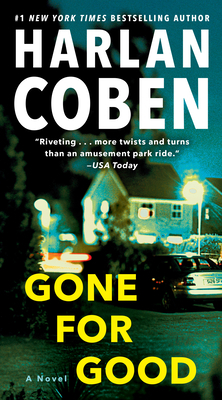 Harlan Coben is the winner of the Edgar, Shamus, and Anthony awards. His critically acclaimed novels have been published in forty-one languages around the world and have been number one bestsellers in more than half a dozen countries. In addition to the Myron Bolitar series (Deal Breaker, Drop Shot, Fade Away, Back Spin, One False Move, The Final Detail, Darkest Fear, Promise Me, Long Lost, andLive Wire), Coben is also the author of the young adult Mickey Bolitar series including Shelter and Seconds Away, and of Miracle Cure, Play Dead, Tell No One, Gone for Good, No Second Chance, Just One Look, The Innocent, The Woods, Hold Tight, Caught, and Stay Close.